Every chance to save money is something that certain people are going to pounce on. 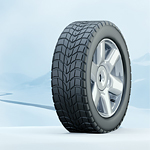 One thing that some have eyed as a possible way to save money is to use their winter tires throughout the summer seasons as well. However, this is a bad idea for a couple of reasons. The first is that it doesn’t actually save money in the end, and the second is that it could cost your vehicle some of its performance. Saving money only happens when you change tires from winter to summer and summer to winter as called for. Those tires are meant to be used for the season that they are specifically designed for. They tend to not do all that well in the opposite season. You have to consider this carefully as you think about using your winter tires all year long. You would be making a poor choice if that is the route that you decided to take.